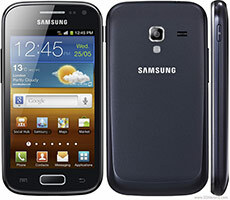 With the Galaxy S III busy grabbing the headlines, a midrange smartphone has been making its way to a number of markets without much fanfare. But you can bet the Samsung Galaxy Ace 2 won't settle for the role of just another sequel. 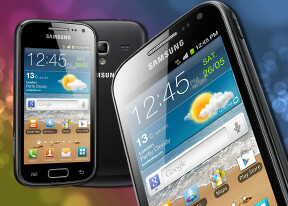 It has a chance to prove the Galaxy S III is not the only superhot smartphone Samsung has released this season. And it's going to use it. Aiming to deliver 90% of the benefits of its extremely popular sibling for a fraction of the price, the Samsung Galaxy Ace 2 plays to the company's strengths and might turn out to be one of the unsung heroes of the year. Dual-core might not be top-dog material in the Android realm any more, but it's enough to run virtually all apps and give you a nice smooth sailing around the interface. The entrance of ST-Ericsson in the smartphone race has enabled Android OEMs to make sub-€250 smartphones, with specs that would be considered high-end on any other platform. Now who would say no to a bargain like that? The recent crop of inexpensive but reasonably powered droids also answers another criticism Android has been facing lately - that it fails to offer performance in a compact package. Sony was first to up the ante with the Xperia U and now Samsung is ready to rise to the challenge. The Koreans have stepped up the pricing of their smartphone a bit, but they are willing to throw in a larger screen and expandable storage, so it's going to be a pretty tough pick between those two. Let's waste no more time then and get down to testing - the answers should be coming as the review unfolds. Stuck on 2.3.6. Not upgradeable. Please remake this mobile because this phone is very best of the best. Take Clean Master from Google Play. Ace 2 have few memory types. So if you delete an app that doesn't mean you free other type of memory.